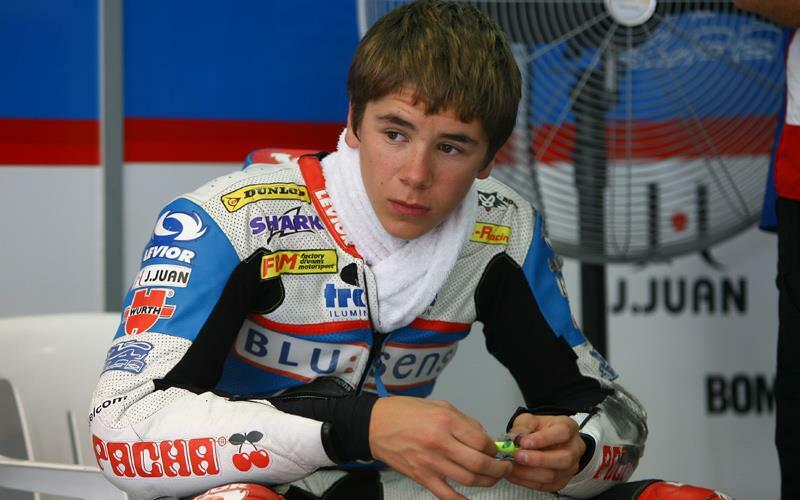 British rider Scott Redding has told MCN of his excitement and anticipation as he prepares to begin his 2010 Moto2 preparations tomorrow (Wednesday). Redding will get his first chance to work with the new Belgian-based Marc VDS Racing squad at the Catalunya circuit near Barcelona in what will be the first major test session for Moto2. The majority of the 2010 field will be present even though the official Honda CBR600RR engine will not be available until early March. And the Gloucestershire rider, who is the youngest rider in history to win a Grand Prix after his 2008 success at Donington Park, told MCN: “I’m ready for it and I can’t wait. "It’s going to be an awesome feeling joining up with the team and I’ve got a really good feeling about this year. I’ll just be looking to get a good start and build some confidence because I’m desperate to do well for the team. "They picked me up from nothing and I’m hoping to pay them back with some good results. "I’ve ridden the FTR Moto2 bike for about 20 laps and the Kalex bike for about five before Christmas, so obviously I don’t have that much experience. "This test will just be about getting a feel for the bike and getting to know the team. Redding was recently given a massive pre-season boost when it was confirmed his Marc VDS crew chief would be Kiwi Pete Benson. He was crew chief to American Nicky Hayden when the American won the 2006 MotoGP world championship and previously worked with Mick Doohan and Valentino Rossi at Repsol Honda. The former Blusens Aprilia 125GP rider will campaign a Suter chassis in the new Moto2 600cc four-stroke class, which replaces the old 250cc two-stroke format.